Every week on Fridays, noon to 1 pm, we meet at the Jewish Community Centre of Victoria, as we begin to prepare for Shabbat by gathering to study the Parashat Hashavua – weekly Torah portion. We can order food from the Lox, Stock & Bagel Deli and enjoy lunch and learning at the same time. Everyone is welcome. Send an e-mail to lgreenhough@shaw.ca and Lynn Greenhough, our spiritual leader, will send you the weekly study sheets that you can print out and bring to the learning session. Last year Kolot Mayim contracted Jewish Educator Ora Stefanic, to lead beginner Hebrew classes Levels 101 and 102. We we were fortunate to have a native Israeli who has twenty years of experience teaching Hebrew and Jewish studies. 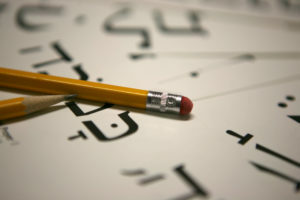 In the coming year we look forward to offering more opportunities to learning Hebrew. Science of The Soul – Last winter we offered a very successful evening focused on the exploration of the Soul. This year we will explore this subject further by offering part two. Please send us suggestions of programs or activities that interest you e.g. Jewish Book Club or a Jewish Music Series. The schedule for the weekly Torah Learning class and other learning opportunities will be posted on our online calendar and in the weekly Kolot Mayim e-newsletter. Bruce Feiler opens up the Exodus story in a new way by viewing it through a different lens–the history of the United States of America. “For four hundred years, one figure stands out as the surprising symbol of America,” Feiler writes. “His name is Moses. The new synagogue we envision is a spiritual centre for all those who set foot inside it. It is a “kehillah kedosha” a sacred community, where relationships are paramount, where worship is engaging, where everyone is learning, where repair of the world is a moral imperative, where healing is offered, where personal and institutional transformation are embraced. The time is ripe for this spiritual call. What really matters is that we care about the people with whom we seek to engage. When we generally care about people, we will not only welcome them; we will listen to their stories, we will share ours, and we will join together to build a Jewish community that enriches our lives. Mussar is an illuminating, approachable, and highly practical set of teachings for cultivating personal growth and spiritual realizations in the midst of day-to-day life. The core teaching of Mussar is that our inner essence is inherently pure and holy, but the inner radiance is obscured by extremes of emotion, desire and bad habits. The Mussar masters developed transformative teaching to help us to heal and refine ourselves.